Respecting the wishes of those who do not want to see the actual video, this report will describe what we should all know about these mass murders — how easy it all was for the assailant. Still pictures of the scene will not be graphic. A viral video streamed live on Facebook and viewed online by millions of people brought innocent people as close to mass murder as they should ever go. Many suggested not to watch the video. For you, here is a report. 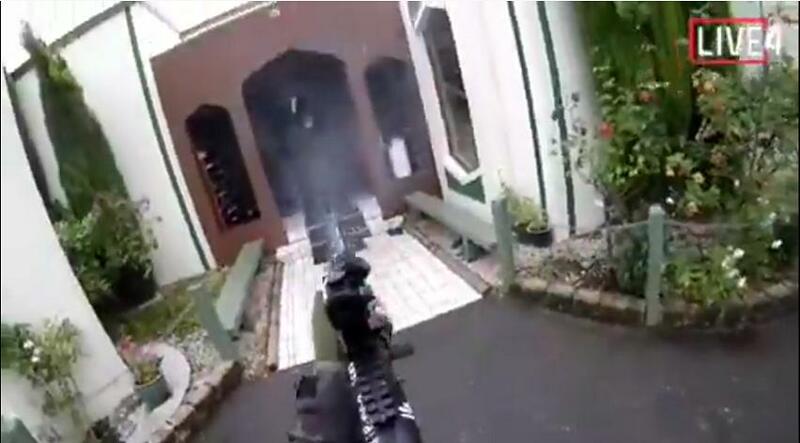 A white ‘internationalist’ inspired by Donald Trump from Australia decided to invade the neighboring nation of New Zealand and shoot up local mosques in the town of Christchurch. A second mosque was hit minutes later, and the state is holding three people in the attack. The 28 year old man killed 49 people in the initial assault and left many severely injured. The shooter not only streamed the video live, he posted advance promotions for the video at various places, and issued a ‘manifesto’ for maximum effect. Essentially, the package was more of a press release or advertisement for white supremacy. The shooting video is nearly 17 minutes long. 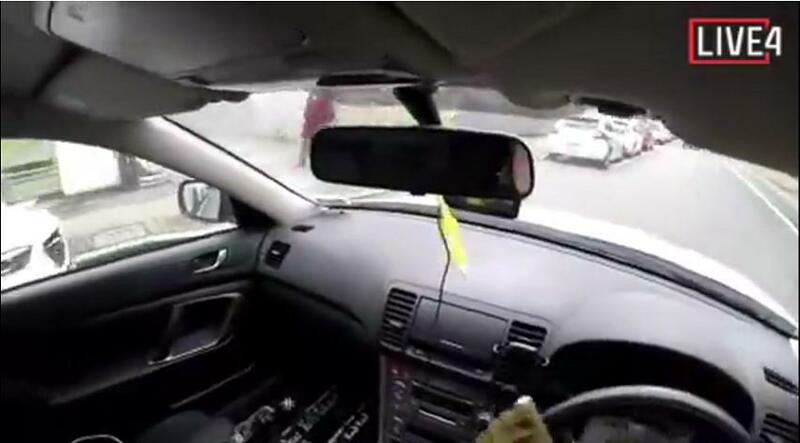 The video starts out with the shooter driving down the streets of Christchurch, suggesting that viewers subscribe to viral YouTuber PewDiePie, heading toward the mosque, with mixed styles of music playing. 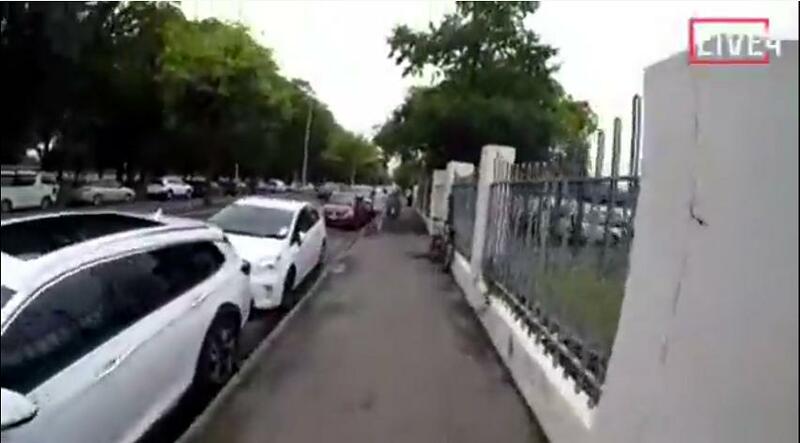 The New Zealand shooter proceeds up an alleyway and parks his car just before the sidewalk at the main road. 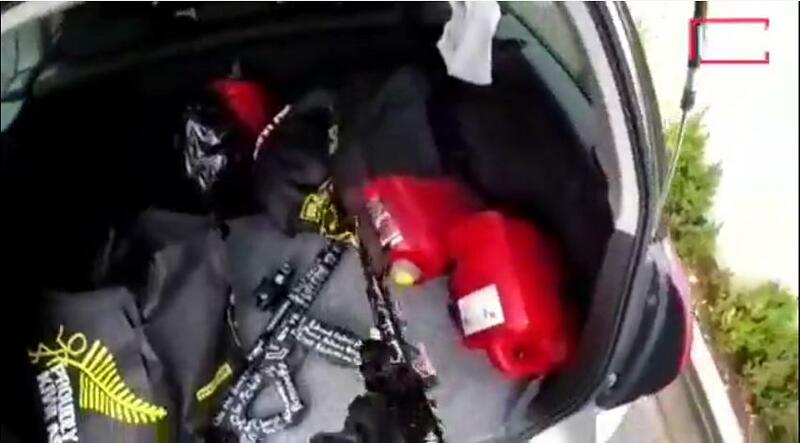 He opens the hatchback of the car and grabs a semiautomatic weapon. 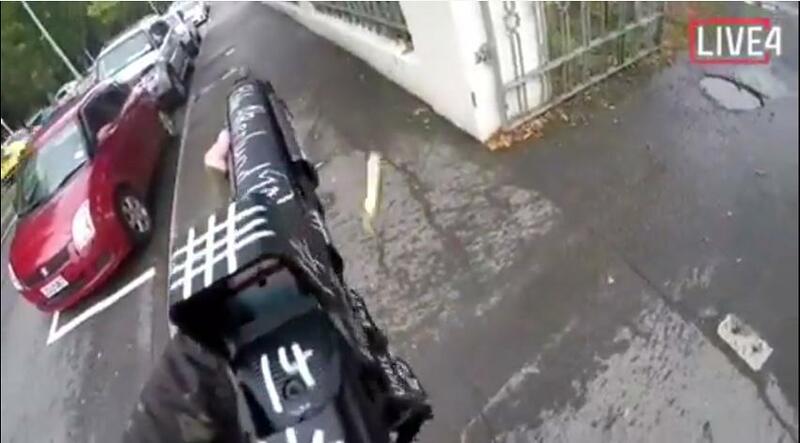 Weapons are painted with signs appearing to be white nationalist. The shooter leaves the hatchback open, guns in plain sight, and proceeds to walk toward the mosque after some other people pass by. He enters the property, pulls the gun up, shoots the people in the entrance, and proceeds to go inside, shooting all the way. A person is hit and trying to crawl away. The shooter finishes him off. 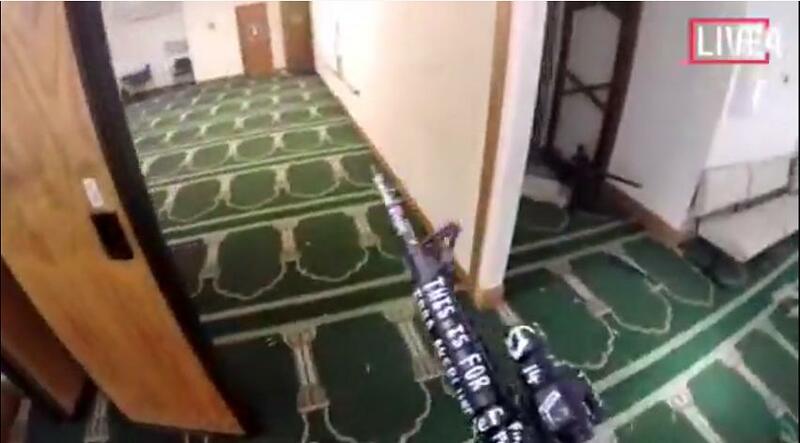 He walks over the man, down the hall to the mosque where people are praying. There are many people inside the busy mosque, but it is by no means filled to capacity. By the time the shooter enters each room, people are huddled together against walls and in corners leaving large open spaces. The shooter blasts through piles of helpless worshipers like they are nothing. Someone is seen running away through a side door. The shooter aims in that direction for a moment then carries on. The shooter spends just over three minutes inside shooting not only anyone who moved, but also those who did not. Sitting ducks to the slaughter of the psycho. 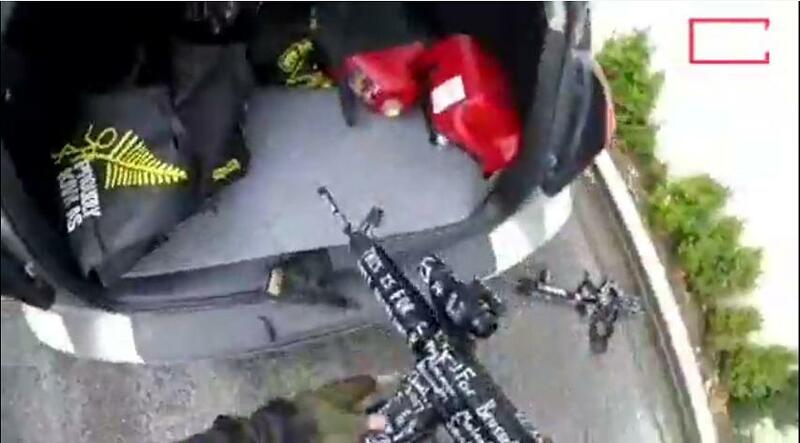 When things appear still, the shooter goes back out to the street, gun blazing, shooting at people on the road. The shooter arrives back as his open hatchback, which is just sitting there all this time. He discards one gun on the pavement and grabs another. He heads back out to the street, this time guarding himself with his gun. The shooter, now moving more quickly and breathing hard, goes back in through a different entrance. People are piled up in the corners. It appears that his plan to kill as many people as possible was limited only by the number of people around. With plenty more ammunition, he walks up to the piles of people at close range and just keeps shooting and shooting. Finally, the shooter heads back out on the street. An injured woman is moaning,”Help me.” He finishes off her life. He walks back to his car, closes the hatchback, and drives away. There is nobody around to stop him. As the stream continues for a few more minutes, he shoots out his own windows from the car as he drives away.